Senior VP of Milwaukee Bucks, Alex Lasry Tours Arena Job Site! Alex Lasry the Senior VP of Milwaukee Bucks stopped by the new stadium. After taking a tour of the arena, Lasry talked with Dewey Roschen the Superintendent on the project. 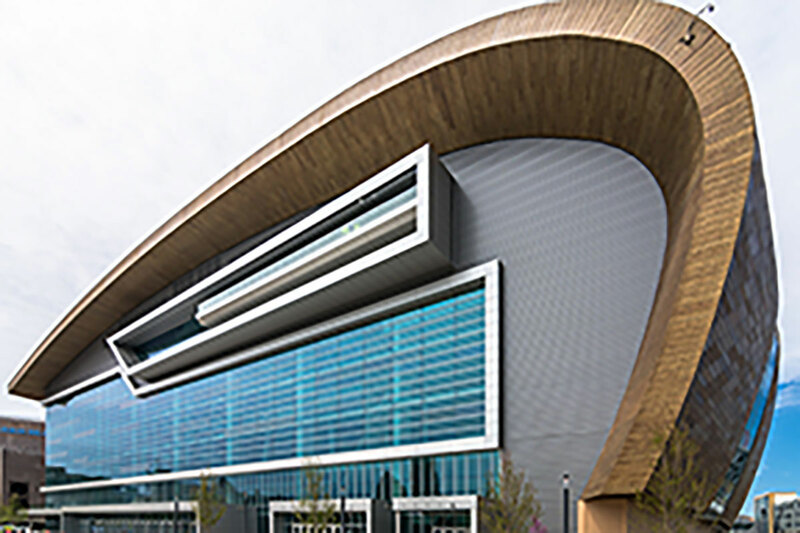 The duo went through the fabrication and installation of the 317,000 square feet of VM Zinc and Centria metal wall panels that will encompass the exterior of the new Milwaukee Bucks Arena. Even showing Alex how to install one himself! The arena will be able to Seat 17,000 fans by the 2018-’19 NBA season. MG McGrath will fabricate and install 317,000 square feet of VM Zinc and Centria metal wall panels on the exterior of the new Milwaukee Bucks Arena.